Your spine will be set at address along three different ways. 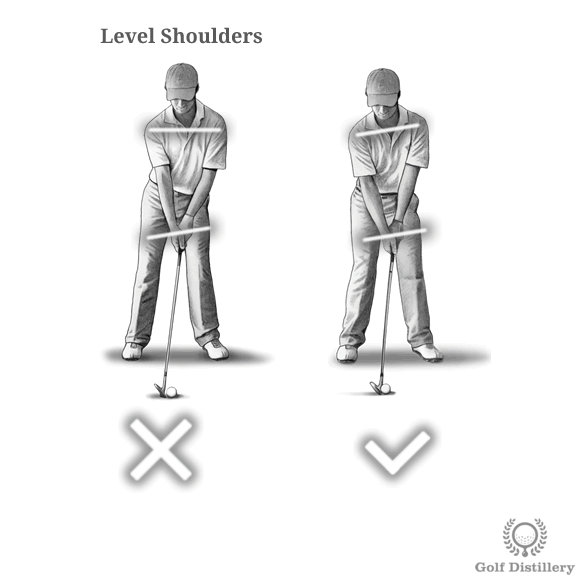 Firstly by the way you tilt your upper body forward. Secondly by the actual shape of your spine as it runs from your hips to your neck. And finally by the side angle it will assume to account for one hand being lower than the other. Closely related to how much flex you are setting in your knees at address is the angle that will be found in your spine. Indeed, flexing your knees a lot will likely require that you bend your upper body forward quite a lot as well. 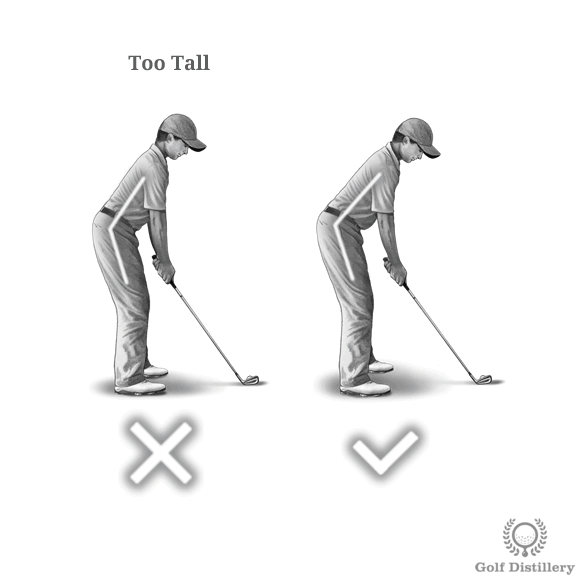 Conversely, those who don’t bend their knees much will likely complete a standing tall position through bending their upper body forward just a little. As with the knee bend, the objective here is to find the middle ground. 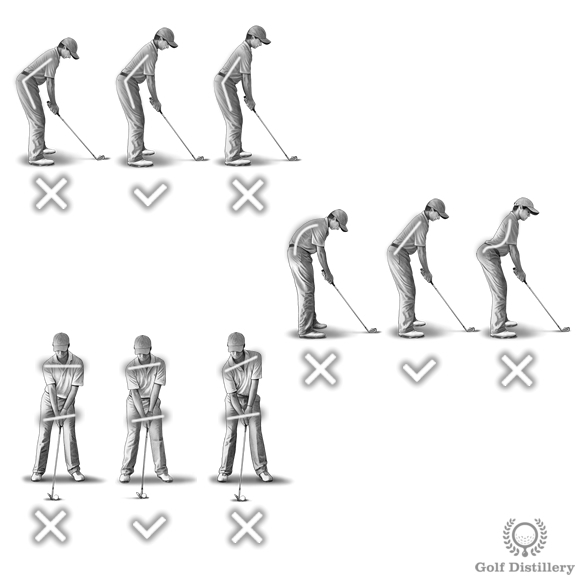 A golfer who is said to be standing tall at address will have a reduced forward bend in contrast to an average one. Indeed, in that posture the angle between the upper legs and the trunk of the upper body will be larger. 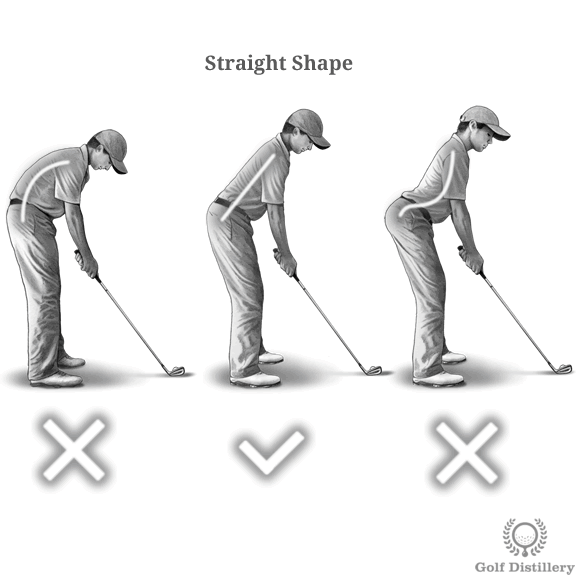 Notably, this posture was recommended by Ben Hogan who advised golfers to feel as though they are sitting on a stool that is planted in the ground. The upper body remains quite upright and the knees are generally bent only slightly. 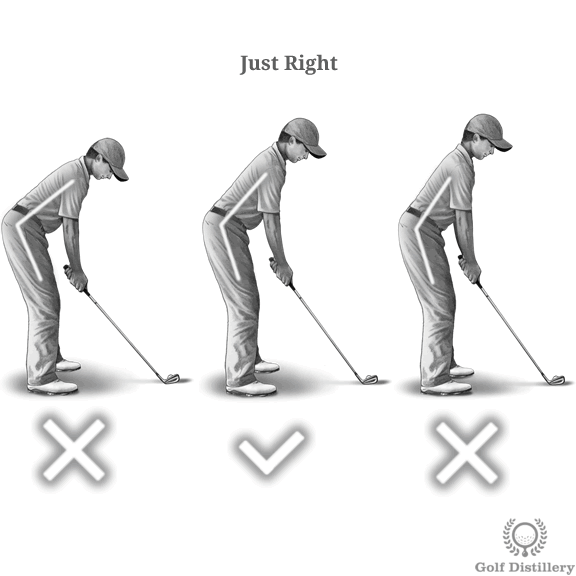 A golfer with a too pronounced forward bend will look like he is reaching out and down towards the ball at address. Indeed, in that posture the angle between the upper legs and the trunk of the upper body will be smaller, indicative that the two are close to one another. 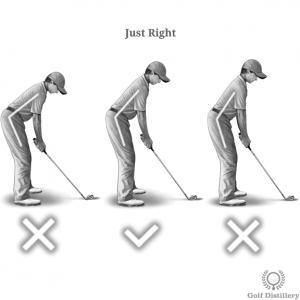 The golfer in such a position will be lower and closer to the ground than with any of the other types of spine bends. Adopting such a stance may prove to add muscle tension in your lower back and do so unnecessarily. 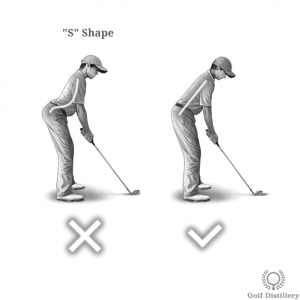 A normal – or average – forward bend would be one that allows you to position your club behind the ball at address comfortably using both the flex in your knees and the forward tilt of your upper body. Such a position stacks your body weight along a central axis that runs down to the middle of your feet while allowing you to feel very stable on your feet. 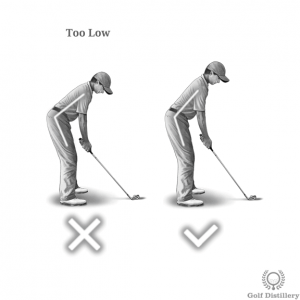 This position should be very comfortable and induce no muscle tension and is generally recommended as the default position for a golf swing. Now that the spine angle has been set, it is now time to make sure the spine pattern is also optimal. There are three main patterns available in the C-Shape, the S-Shape and finally the Straight Line. 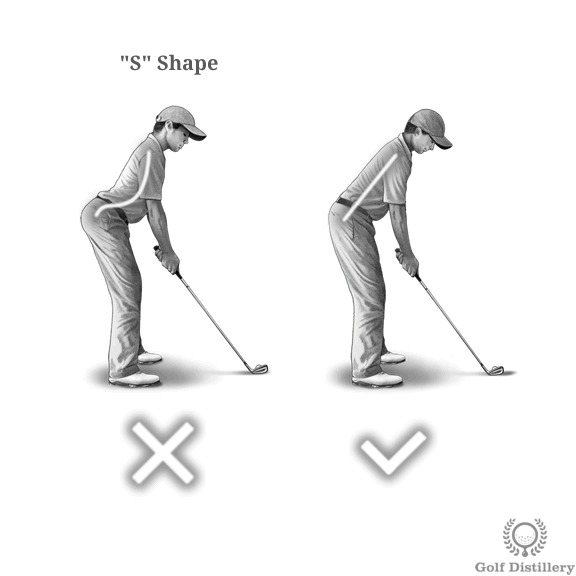 Only the latter is optimal as it provides the ideal position that allows you to comfortably rotate along your axis. A “C” curve pattern is one where the tailbone lines up with the middle of your back in a letter C shape. This is obtained by rounding out your back in an exaggerated fashion or through no effort at all in keeping your back straight. 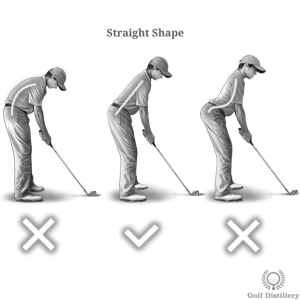 Indeed, the golfer with that spine shape will simply position himself in front of the ball and will rest the club down on the ground solely through lowering his shoulders. 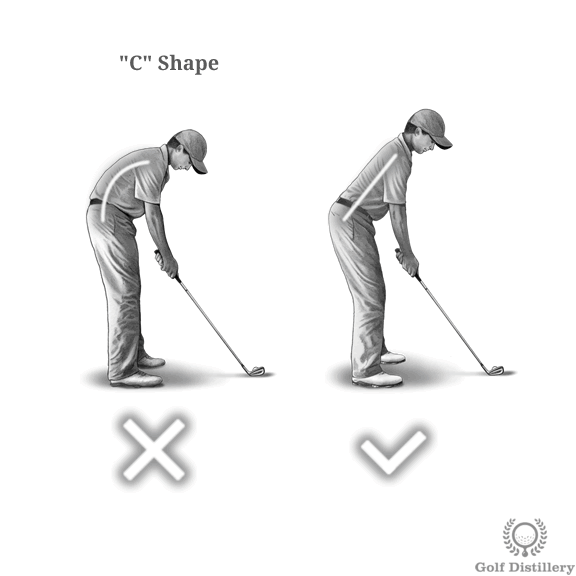 Again, this type of back tilt will make it harder for you to rotate properly during the golf swing. And again, it might lead to golfers standing up at address. As with the case for the S pattern above, most of the weight will be supported by the lower back, which will likely lead to lower back pain. This is in contrast to a neutral spine shape which will direct most of the weight of the upper body towards the hips rather than the back. An “S” curve pattern is one where the tailbone lines up with the middle of your back in a letter S shape. This is obtained by sticking your buttocks outward and up in an exaggerated fashion while keeping your upper body in a standing tall fashion. The combination of the two positions creates a depression around the lower back. This type of back tilt is known to hinder proper rotation and more troublesome still it places most of the upper body’s weight on the lower back instead of on the hips. 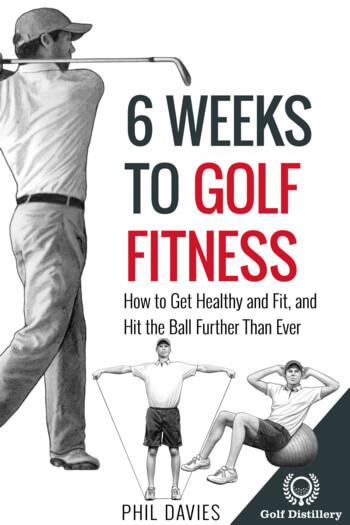 This can lead to lower back pain and can lead to golfers standing up during the rotation in order to relieve that pain. A neutral spine curve pattern is one where the tailbone lines up with the middle of the back in a straight line. The middle of the back refers here to the portion in between your shoulder blades. Also known as a straight back, this pattern essentially has no curve pattern at all. 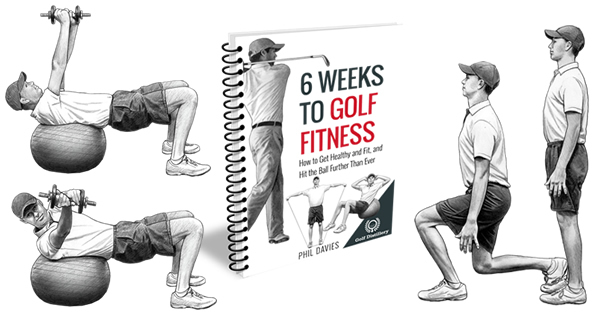 It allows for excellent upper body rotation and places most of the weight at the hips. Finally, your spine angle is adjustable in a third way. Indeed, on top of the spine forward and shape pattern possibilities, your spine will also be tilted sideways a little. This third set of options is visible through the way your shoulders are aligned, or more precisely the height of one relative to the other. 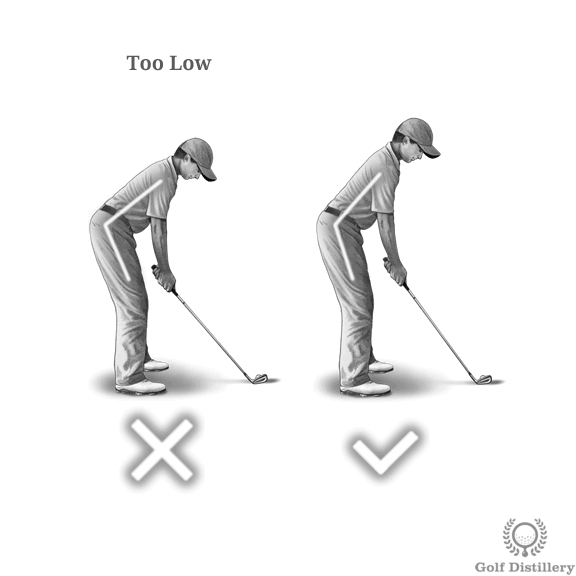 Golfers who do not pay attention to the way their hands are positioned on the club won’t notice that one is lower to the ground than the other. They will therefore assume that both shoulders should be level with one another and on a line that is parallel to the ground. 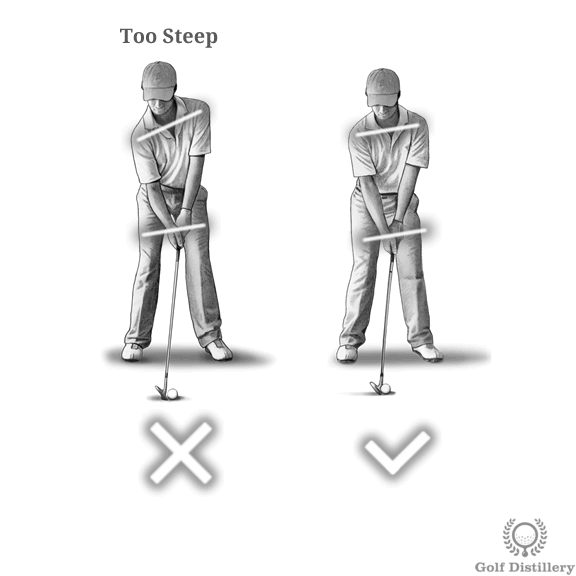 Setting up this way will twist the spine near the shoulders and will make it difficult to swing properly. It should be noted that this setup can be useful in some instances as it promotes hitting down on the ball. It could therefore be used for delicate shots that do not require a full swing. 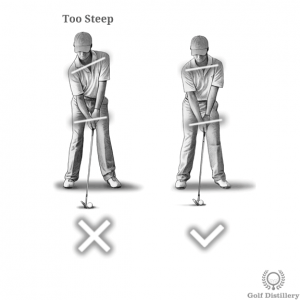 But it should be avoided for drives as the club is meant to be hitting the ball on the way up. On the opposite end of the scale, those who are indeed aware of the right hand being lower than the left may overshoot that slight difference. This results in the right shoulder dropping too low relative to the left, which makes hitting down on the ball close to impossible. 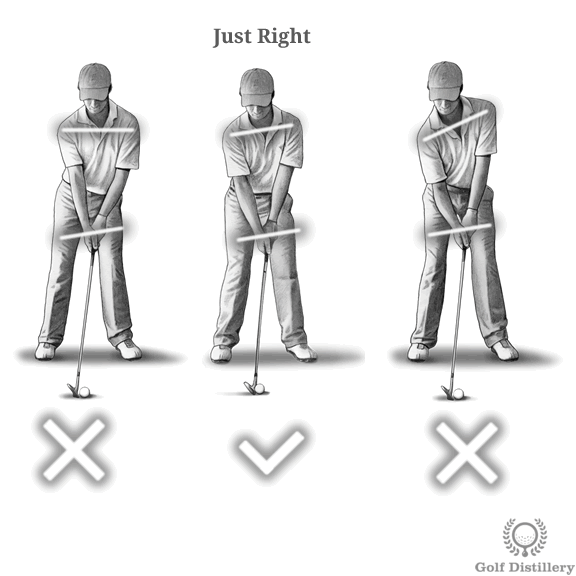 These golfers may have been taught to position themselves in such a way whenever hitting drives, which are indeed made to be hit when the club is rising and which this setup promotes. 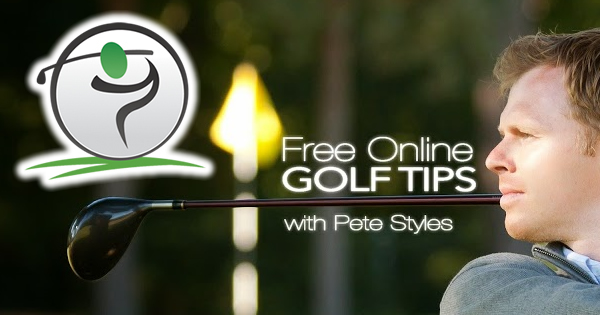 However, it becomes risky to overdo as this setup can creep into regular iron and wedge play where fat shots can occur as a result. 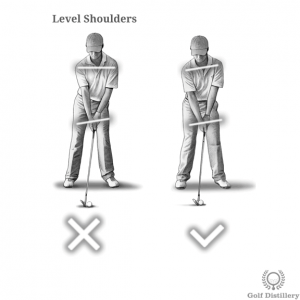 An ideal spinal side tilt will be one that naturally follows how your hands are positioned on the club. 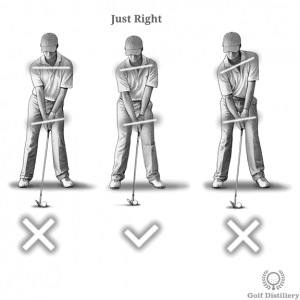 Indeed, because your right hand will be positioned lower on the grip than the left at address, it is natural that your right shoulder should stand lower and closer to the ground. Failure to do this will result in your spine being crooked, as is the case with the two errors above.